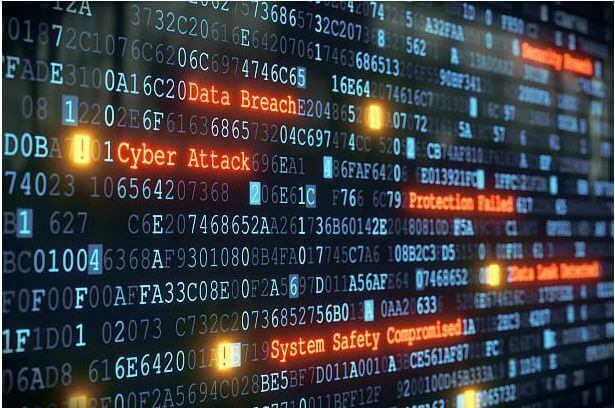 Artificial intelligence and machine learning technologies for cybersecurity hold the core key to stop trending Cyber attacks. By the end of the year 2017, 61% of enterprises from all around the world implemented machine learning for Cybersecurity in their premises. According to the Narrative Science, this percentage was increased by 23% from the year 2016. The company Deloitte said that this percentage might get doubled till the end of the year 2018. But, who knows what’s going to be next, either it is about technology, threats, or anything else. Machine learning is good like panacea in some scenarios but, is also like a poison for the same set of end users. This post is going to aware enterprises from high risks faced in cloud storage security when enterprises prefer using the concept of machine learning. What’s Machine Learning In Enterprise World? Before having a look at the disadvantages of working with machine learning for Cybersecurity, let us first learn that what it is all about. Machine learning is a type of artificial intelligence, which interprets the massive amount of data, enforcing algorithms to the material, and assuming the things on basis of observations. Popular technologies that work on the basis of machine learning are – speech recognition, facial recognition, object recognition, and translation services. In general, enterprises make use of AI to process and locate tons of datasets that is not possible for humans to perform manually. Companies like Google, Amazon, Microsoft, and IBM make wide use of machine learning to enhance their business functionality. Unfortunately, few organizations started using this AI mechanism for a narrow purpose i.e., cybersecurity. There exists several educated people who thinks that combination of machine learning and cloud data security will make lives easier. Such type of people needs to open their eyes and update their knowledge with the fact that – machine learning is still having some flaws / problems within it. Instead of reducing the headache, these flaws might increase the workload for cloud computing users. Humans Need to Dedicate More Efforts – Some type of alternatives are required in the system because machine learning machines are unable to determine the cause of flag. Several officials have a fear that AI technology will take away their jobs. These type of individuals have to open up their mind and only have to update themselves with trending concepts to be safe in their job place. To create a system with effective output, a security data expert or scientist is required. Therefore, employees do not have to panic because machine learning is not at all going to replace security experts. Most of the organizations might require extra security pros for making a machine functionality proper. Information Feeding on Daily Basis – The machine learning application for cybersecurity does not automatically work with newer data, entered by the administrator. It is so because these type of systems are quite picky. The modern algorithms of machine learning are dependent on particular data for its working. If an enterprise desires a quality outcome, the input has to be perfect. This scenario puts business professionals in high pressure because it is about delivering the best quality while inputting data to gain better sensor content. Absence Transparency In Work – When a problem is detected in the cybersecurity system, the admin can go through it and analyze the cause of the alert. However, it is not possible for machine learning technology in cybersecurity to address the cause of the alert. This leads to a lack of transparency. In fact, there might be alerts that end up with false positives. Hackers Are Well Known From AI – Machine learning might be helpful in defending against online attackers but might be showing its negative impact when goes in wrong hands. Undoubtedly, the machine learning provides a faster way of working in comparison to humans but, it is not equally effective for cloud data protection. Shortage of Tech Talent In Market – The expertise level of skills is compulsorily required for making machine learning work. Here comes another problem in machine learning for cybersecurity where enterprises need to search for such kind of talent. Dealing with AI technology is tough, so it is difficult to look for individuals who are capable of dealing with such type of niche OS, allowing for cybersecurity pros in a tie. Enterprises who use cloud services for day-to-day operations should avoid machine learning concept to achieve online data protection. It is better to trust yourself, rather than getting dependent on any system. At least, this idea will not increase the ongoing burden at the workplace and avoid chances of associated cyberthreats.